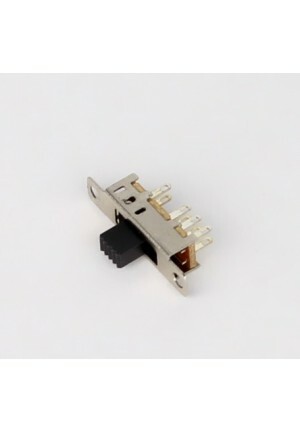 Double-pole triple-throw (DP3T) panel 8 pin 5mm slide panel switch. Accepts up to 0.5 A of 50V DC power. Recommended for use as a power switch.